Paul Read is a litigation paralegal working primarily in the area of professional liability matters. He has particular experience in the areas of legal malpractice, accountant liability and insurance agent and broker errors and omissions. In addition, Mr. Read also handles matters involving products liability, personal injury defense, insurance bad faith and probate matters. 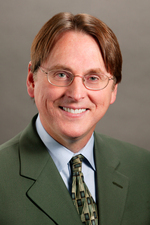 Mr. Read joined Hinshaw & Culbertson LLP in January 2004. Previously he was a paralegal for four years with the Los Angeles firm of Haight Brown & Bonesteel LLP; and for three years with Wolf, Rifkin & Shapiro, LLP.